There is a definite nip in the air now, it’s taken its time but it’s definitely here to stay. 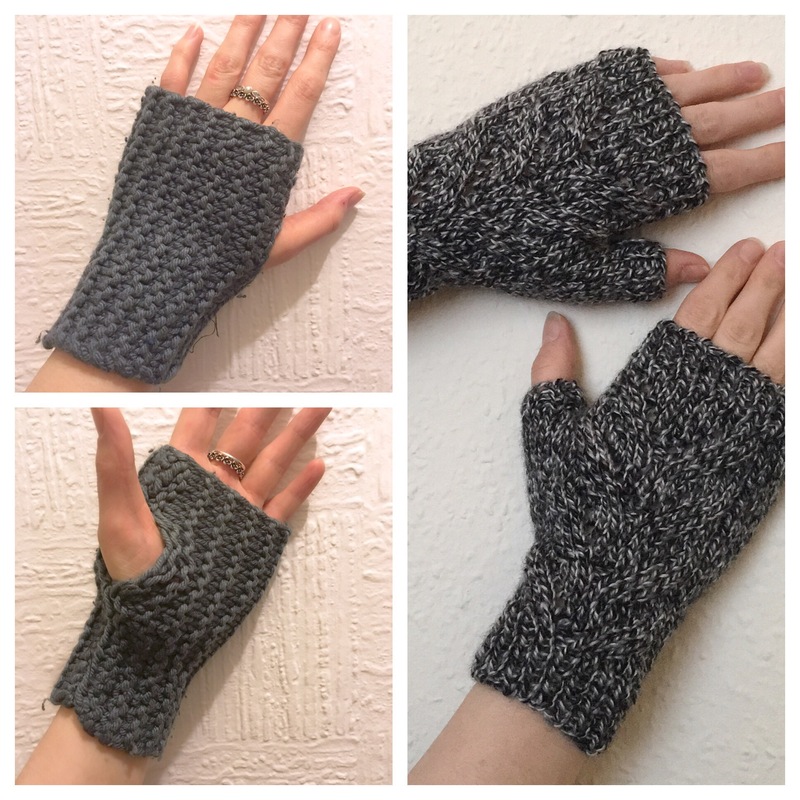 Last week I was on my way out to work at the crack of dawn and caught myself wishing I had my mittens on, then remembered my mittens from two years ago are in a pretty sorry state… must make mittens! 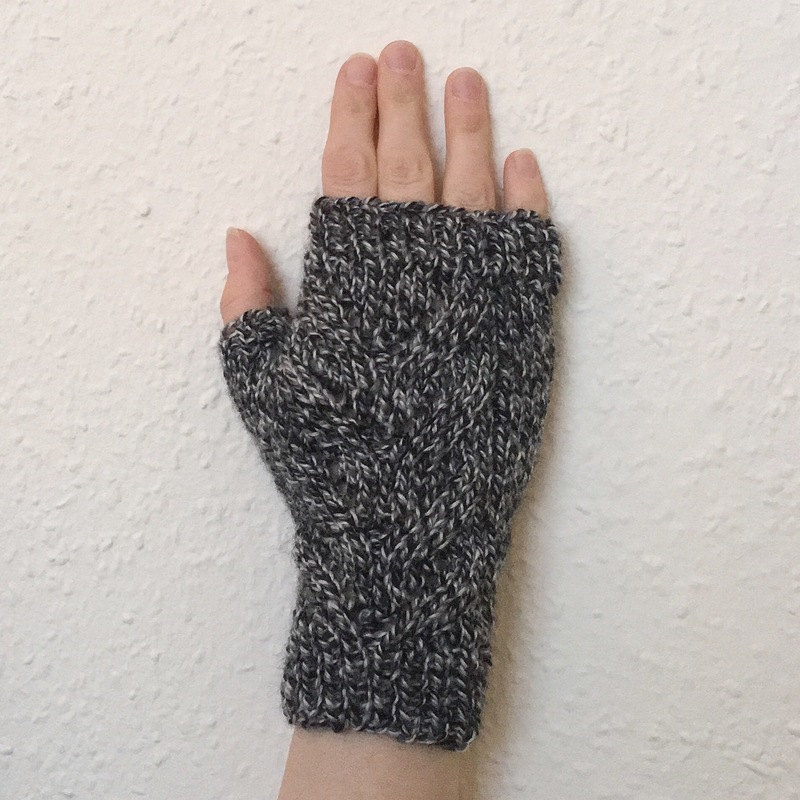 I’m both absolutely smitten with my mittens (see what I did there) and just a little bit disappointed with them… but only a teeny bit. Let me explain. It’s there… if you look closely. 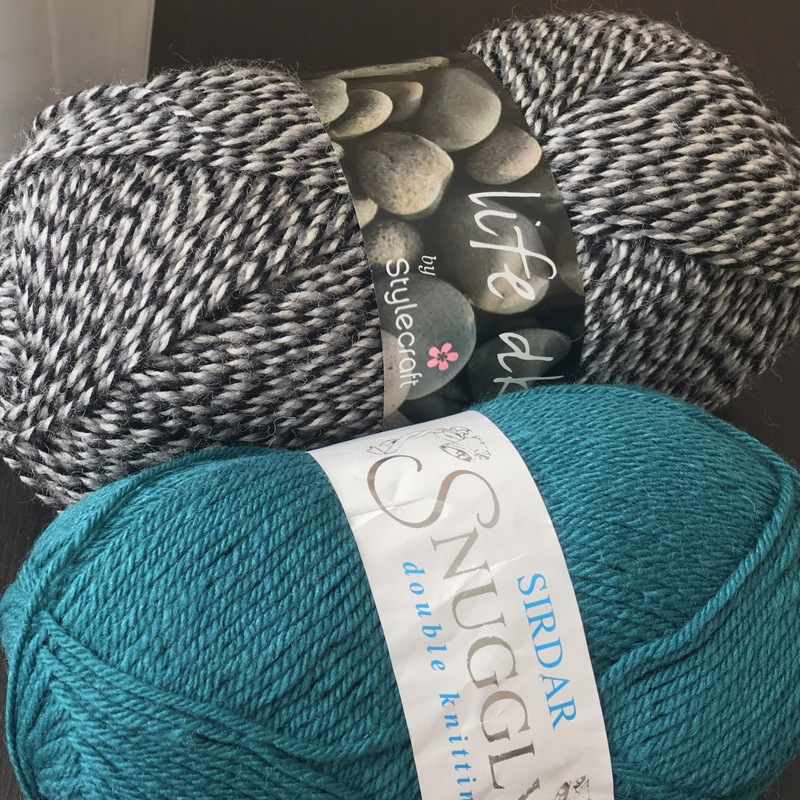 I might be making these again with the turquoise Sirdar Snuggly. 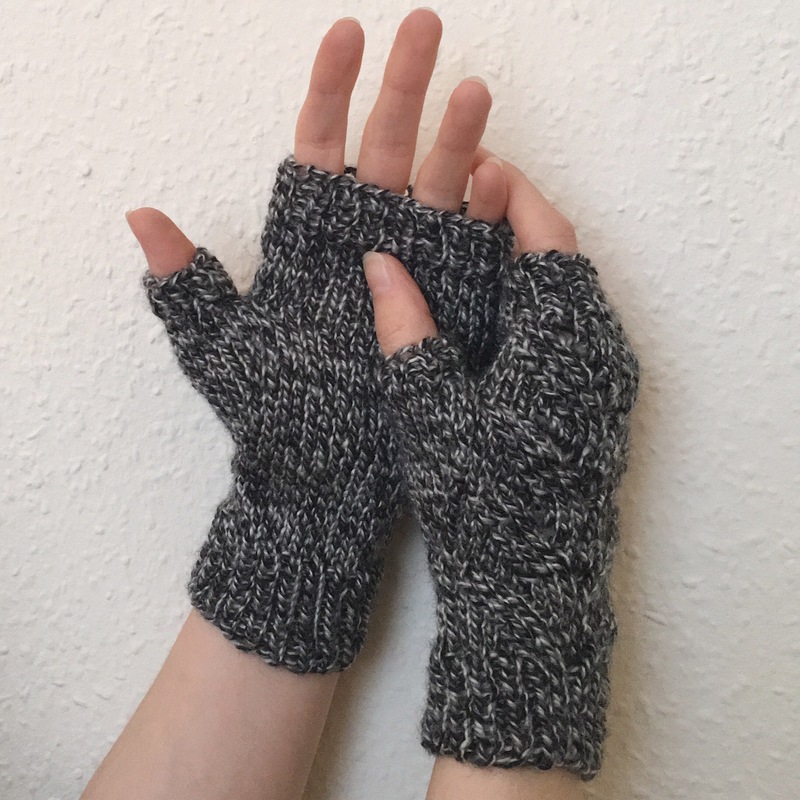 What really struck me about these mittens… with their built in thumb gusset… is how far I’ve developed from my very first mittens (and my very first knitted thing). On the left we have a rectangle sewn together with thread (I didn’t even know about sewing together with the wool for crying out loud). My friend taught me how to knit in a pub one night (I know, rock and roll) and these kind of came out of that. I wore them to death, and I can’t ever see myself getting rid of them, but wow there’s some evolution in those photos. I mean just look at that marl! It’s marl-velous. But my god I got some satisfaction finishing these off. I think with big projects on the go it’s just good for the would to have smaller quick fix projects. Now… back to some Christmas knitting. Came across your blog via Ravelry. 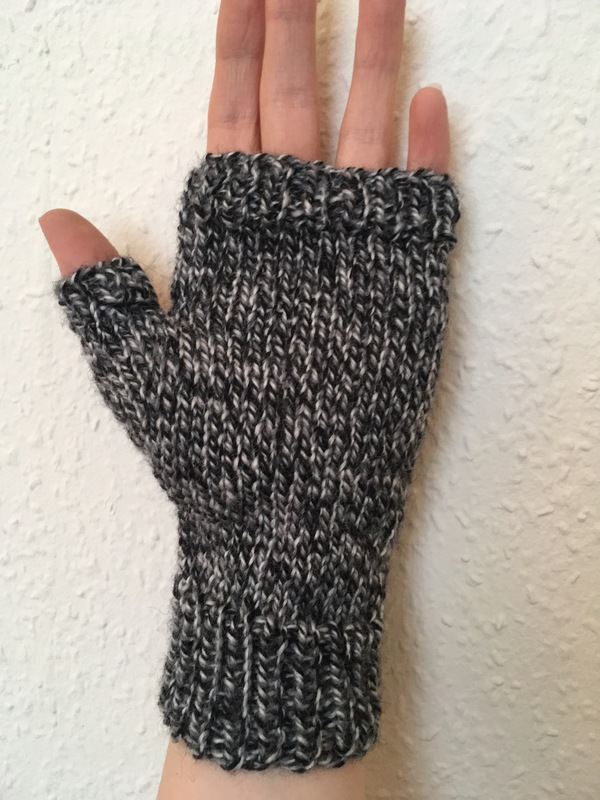 I am looking to make some fingerless gloves this year. I live in a very warm climate, so the winters are somewhat mild. I would like to make them out of Lang Omega. 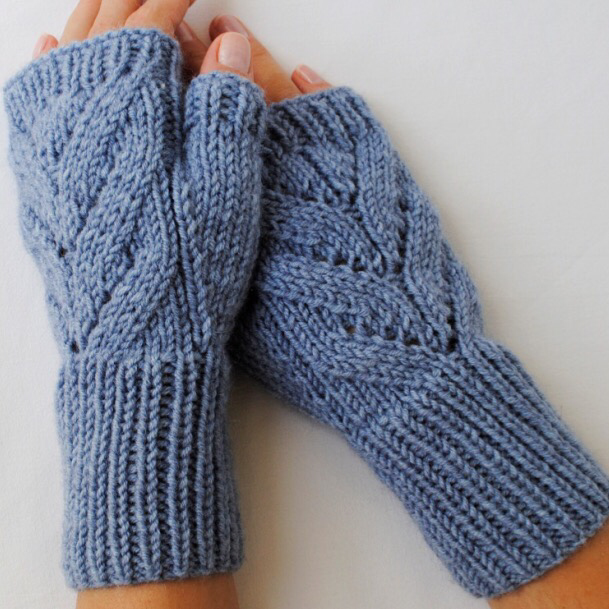 How do you think a cotton blend will do for mittens? I need them to be warm, but not overly warm, and I really dont love the way wool feels. Pleased to have discovered your blog! And love the knitting – especially the triangular shawl.